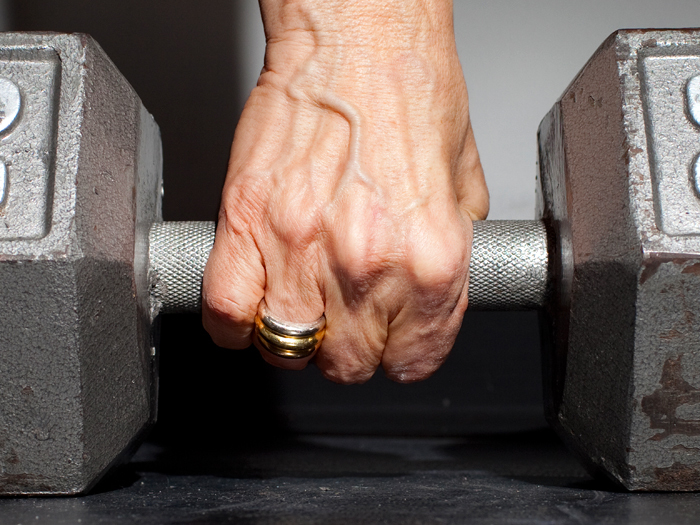 Every older adult should be lifting weights. Here’s how to do it safely and effectively. Walking, biking, dancing, and swimming are all great ways to fit in some aerobic activity. But if you want to stay healthy for as long as possible, you need to be strength training too. 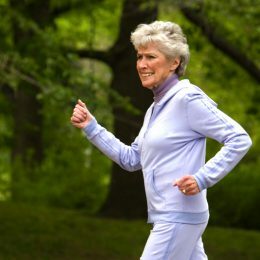 In fact, the Centers for Disease Control and Prevention recommends people 65 and older do muscle-strengthening activities at least twice per week. 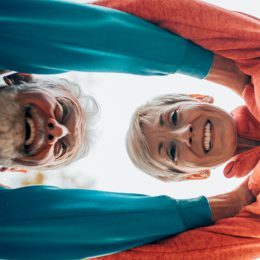 That’s because strength training can make your muscles and bones stronger, improve your joint health, help you maintain a healthy weight, and reduce your risk of falls and fractures, says Erica Suter, C.S.C.S, a strength coach based in Baltimore. It might even add years to your life. 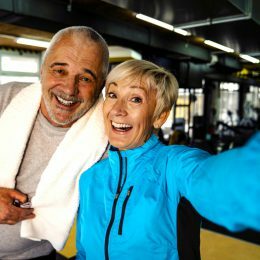 A study in Preventive Medicine found older adults who incorporated strength training into their routine twice per week had a 46 percent lower chance of dying from any cause during the study period than those who didn’t strength train. Plus, pumping some iron helps you build confidence in your everyday life, Suter says. Carrying groceries, climbing a flight of stairs, or even participating in other activities—like golfing and hiking—will all start to feel so much easier once you add strength work to your routine. If you haven’t been strength training, take baby steps. Don’t just hit the gym and start throwing weights around—that can lead to injury. Here are three steps every beginner should take. Before you begin any new activity, be sure to check in with your doctor to make sure it’s safe for you. That’s especially important if you have any chronic conditions, balance issues, or injuries. Luckily, strength training is safe—and recommended—for almost everyone, including people with diabetes, arthritis, and osteoporosis. The key is working with your doctor for any personalized guidance. Once you’ve got any safety instructions, you can start experimenting with different types of strength activities. While you can certainly lift free weights like dumbbells or use the weight machines at the gym, those are only some of your options. Working against your body’s weight with pushups and lunges or using resistance bands counts as strength training too. In the beginning, feel free to modify any exercises that feel too difficult, like a full pushup, Suter says. Check out our guide to the five basic rules of exercise regression to learn how to make any move easier or harder depending on your fitness level. Make sure you also build in time for rest. In fact, not giving your sore muscles enough time to recover properly will put you at a greater risk of hurting yourself. If you’re new to strength training, one session per week might be plenty to start. You can slowly work your way up to two or three sessions per week. Don’t feel pressured to perform too many reps or lift a lot of weight, Suter says. Instead, practice each movement slowly at a weight that feels comfortable. Learning a new exercise? Try it without any weight first so you can master the setup and movement. Pay attention to how your body reacts with each rep. If you feel any pain—in your lower back as you lift, for example—that’s a sign you need to stop, Suter says. Perfecting your form for each exercise is crucial. Once you feel your posture weaken, that’s your cue to stop the movement, since your risk of injury spikes when your form slips. Even if a given workout calls for more reps or sets, once your form breaks down, you’ve done enough for the day. Depending on your medical history—say, you’ve injured yourself in the past—you might need to avoid lifting heavy loads or intense jumping movements, Suter says. That’s why working with a personal trainer can be beneficial, regardless of your age. A trainer will be able to personalize a routine to fit your needs and teach you how to maintain proper form as you start to build strength. If group fitness classes appeal to you, the instructors are also a great resource. SilverSneakers instructors in particular go through special training that makes them uniquely qualified to work with older adults. In other words, they’re full of knowledge and eager to help, so never hesitate to ask questions!